DAY: Lunch with friends at Camp Canaras on Upper Saranac Lake. Yesterday started off warm and sunny, so white Bermuda shorts were the perfect basic to build my look on. 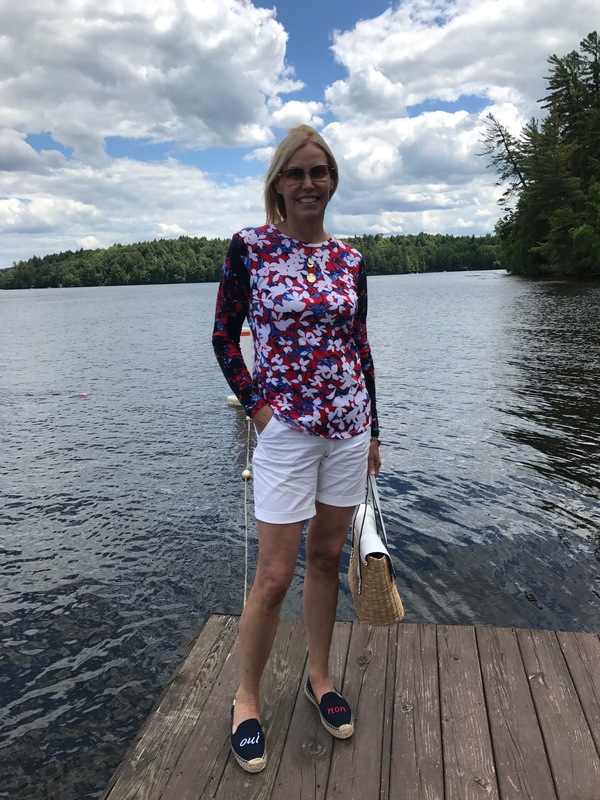 I added a fun, red-white-and-blue floral tee with contrasting long sleeves. (Warm up here is not that warm!) 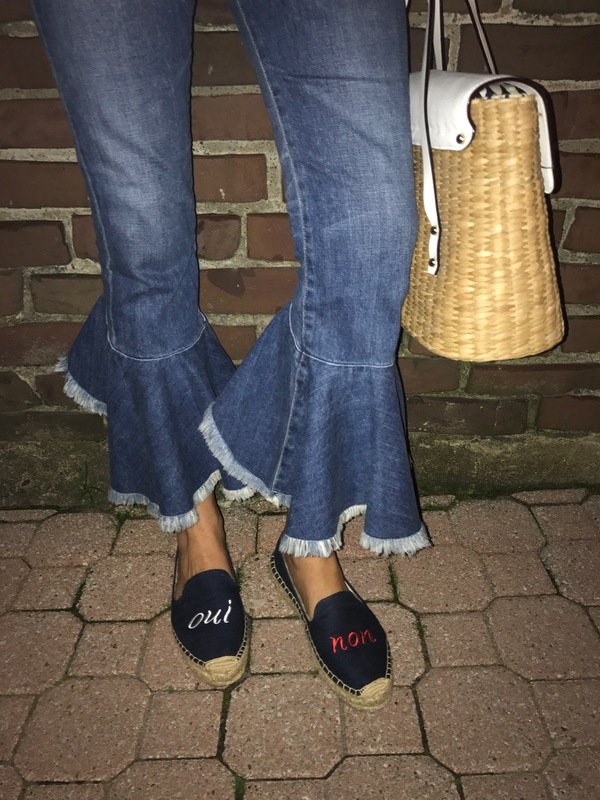 I adore these “Oui/Non” navy espadrilles and wear them as often as I can. 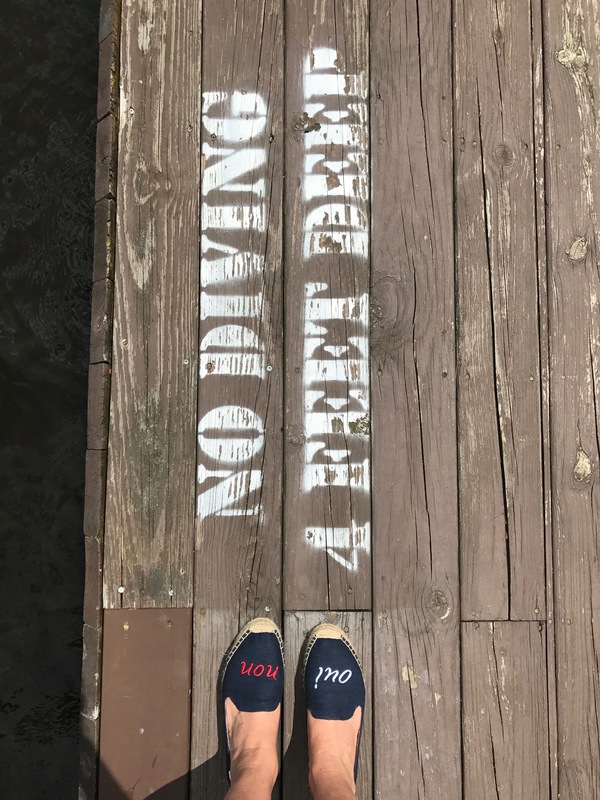 (And they were heaven for the plantar fasciitis I’m just getting over in my right foot.) They will be perfect for Bastille Day, too! And how cute is this basket bag? 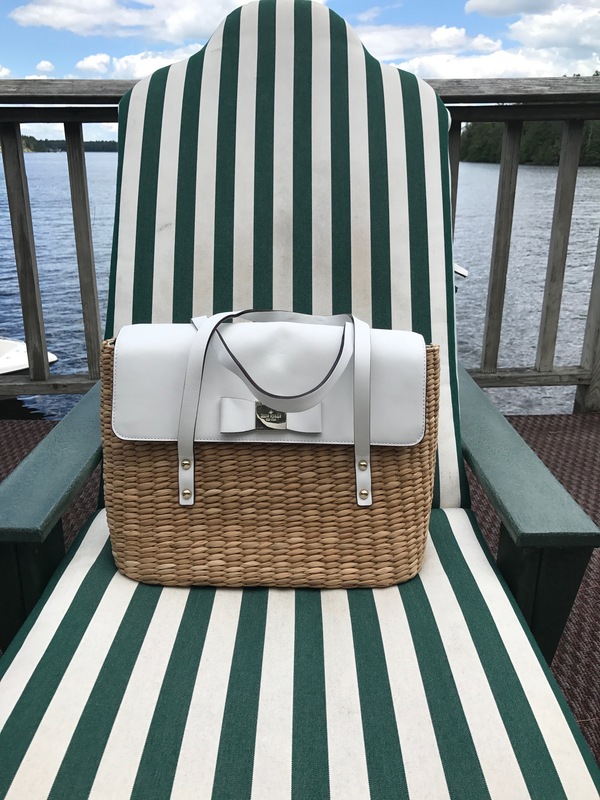 I love the polish the crisp white leather flap and handles add. 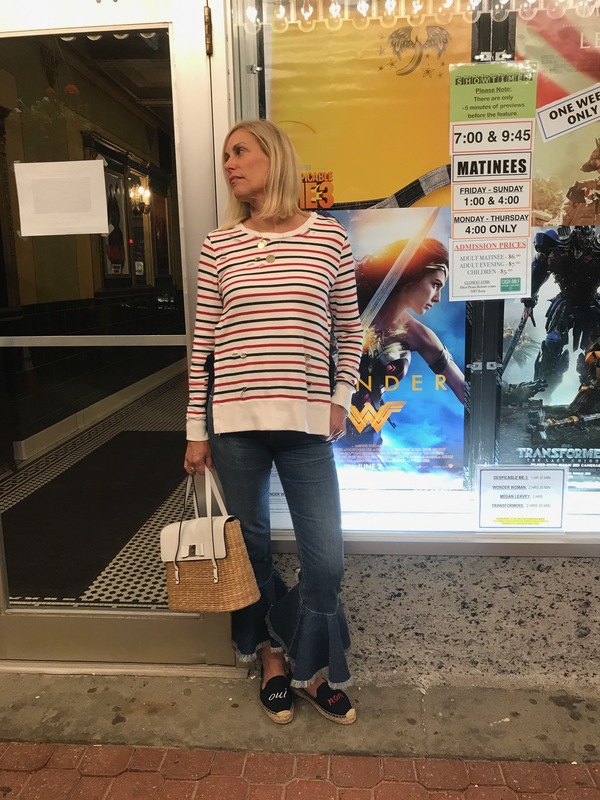 For night, I went with this fun striped-and-destroyed sweatshirt. It ties on the sides, so is a little skin-baring for this 50-something. I just layered a white tank underneath and problem solved. 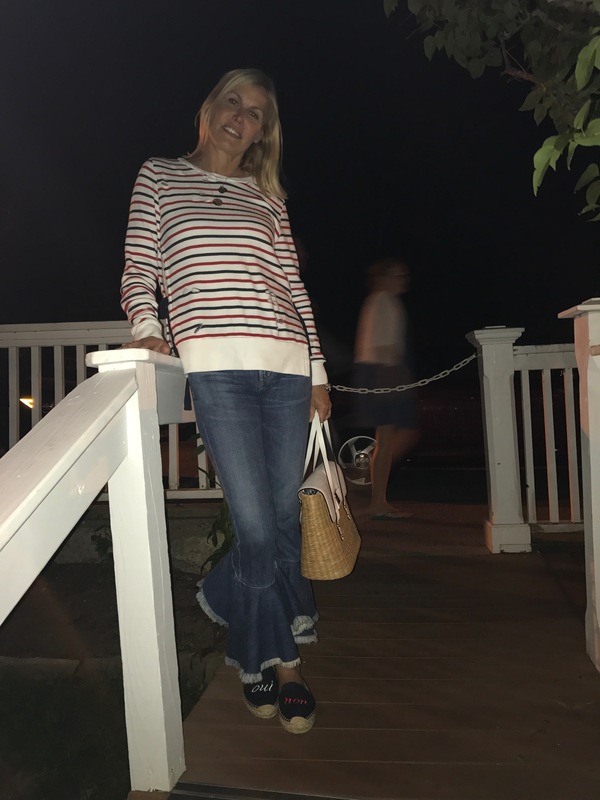 Even though Chris asked if the “holes” came with it (ha ha, honey), this top is cozy and chic all at once. And these jeans? How fun are they! I was inspired to try (and buy) them by The Middle Page. The high waist is super comfy and holds in my middle-aged middle just right. 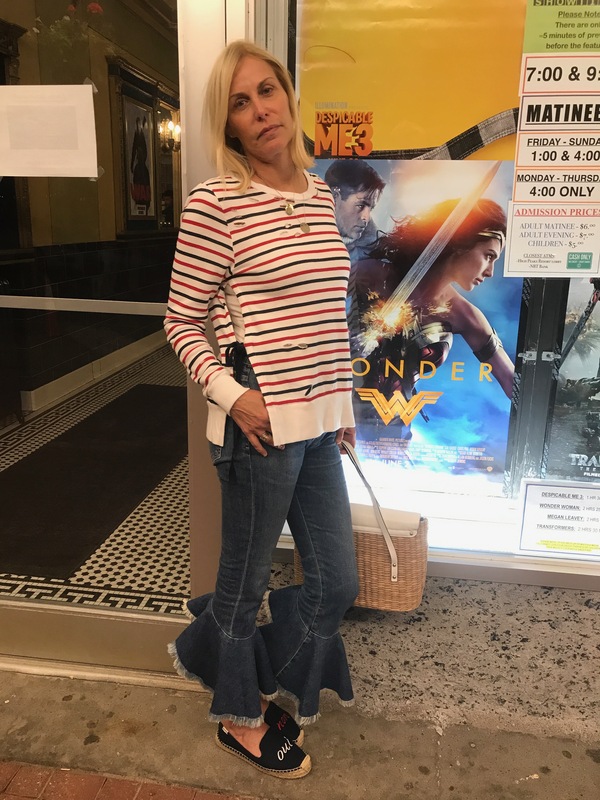 And the flounced hem? Cha cha cha! They are going to see a lot of action this summer, that’s for sure. Keeping the same espadrilles and bag in the mix made finishing off this look simple and simply perfect. 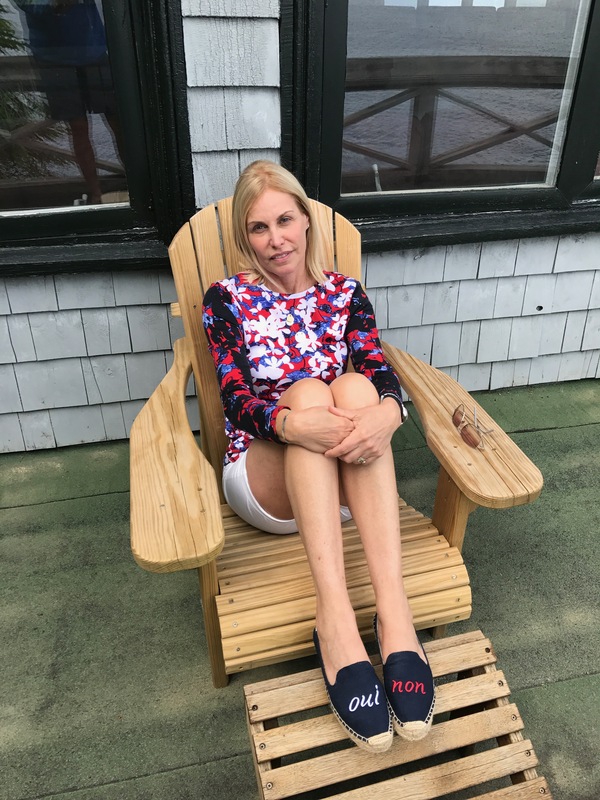 It’s sometimes hard to leave our secret cabin in the woods, but it was lots of fun to see everyone out in Lake Placid enjoying the beautiful night and fantastic fireworks. We ended up at Delta Blue for some live music. Another North Country must!